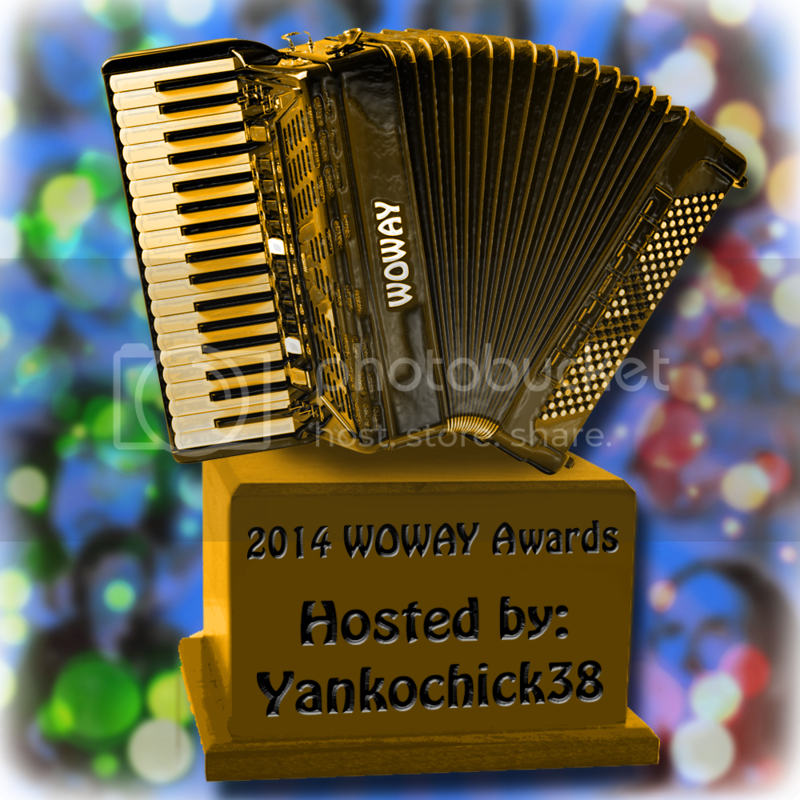 As you may or may not already know, I will be hosting the next WOWAY Awards sometime in the coming months. If you are new to the WOWAY Awards, please check out this thread from the 2010 Show. We should be doing something similar to that by the end of the year, and there will be a lot more information coming your way soon. In the meantime, I thought I would open up a topic for discussion to get some feedback as I'm planning. For returning WOWAY Awards show goers, are there any new categories you would like to see? This topic has the list of categories from the 2010 Awards. If anyone has anything they'd like to see make a comeback from previous WOWAY Awards, or suggested categories, please let me know. Please discuss what you would like to see from the upcoming WOWAY Awards here. All those categories look awesome! This will be the first WOWAY Awards I will be a part of, so I am looking forward to it! Whoot! Excited for the next WOWAY Awards! Of things I particularly liked times, having videos as a way of doing the categories was great. Will help in any way I can. Last edited by Big Spoon on Sat Aug 02, 2014 10:39 pm, edited 1 time in total. Not a huge fan of the background, but here is the rough draft of some sort of thing I made. I'd like to shift my (near-certain?) nomination in the Best Mod category to something less competitive. If Orange is the New Black can be submitted in comedy categories at the Emmys, surely my mod work will fit in the Best Long-Form Reggae Music Video category at the WOWAY Awards. I used to DOMINATE the WOWAY awards, but the last awards were a wake up call. I realize I am no longer what you kids consider hip and my act has become stale. Rather than adapt with the times in a better effort to stay up on current trends, I'll instead forego all nominations, nominate myself for the WOWAY Lifetime Achievement award, declare myself winner, drop the mic after my acceptance speech, and flip off the crowd as I walk off stage. But good luck with the rest of the awards. I nominate Teh Dingo as Old Curmudgeon Of The Year. Joe - Yes, this year's WOWAY Awards will definitely be in video form. There's no other way to do it now, really! And I will be taking you up on that offer for help. Eventually. Yes . Muppetboy - DUDE WHAT!!!!! Thank you!! That is amazing. I want to hire you on as the WOWAY Awards graphic designer. *Best Ship / OTP of the Year ! And many more. Still accepting new categories!! and new WOWAY additions to be nominated for categories! I would like to propose splitting up Best New Member into two or three subdivisions since it's been so long since the last WOWAY Awards. One for any new member who joined since the last Awards, one for members who joined within the last six months or a year. And of course one for Best N00b! mALe member of the year?